Pre-Order for January 1st release!! Psychic medium and amateur spy Grace Thatcher thinks she’s pulling one over on the elusive Sam Stone when she joins his dating agency to learn his corporate secrets, and to assuage her curiosity about the existence of her perfect man—whom she’s decided doesn’t exist. Sam Stone knows a fraud when he sees one, and Grace Thatcher is a fraud. His background check only confirms his suspicions. 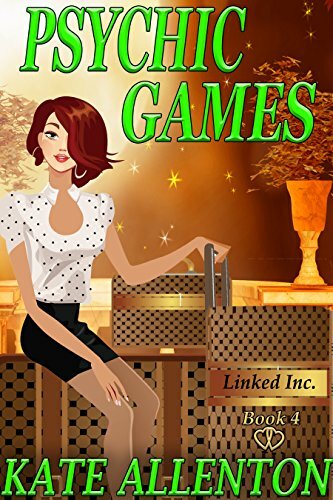 When her meddling sisters insist the contract be voided before the fun even begins, he reluctantly agrees, even though she’s the perfect candidate to take as his date to his brother’s wedding. Still, talking her into going with him to the wedding is easy. She’s a pro at keeping up the charade around his family and friends. The entire week should be a piece of cake, but he quickly learns that nothing is ever what it seems when a Thatcher is involved. When dangers from his past resurface, dealing with a disastrous wedding, a guest-terrorizing ghost, and Grace’s meddling aunt are the least of his worries. He needs to survive long enough to make her realize that he’s found her perfect man; him. This entry was posted in Guest Authors and tagged psychics, Romantic Suspense by jessicacoultersmith. Bookmark the permalink.